Think you can limbo after a few drinks? 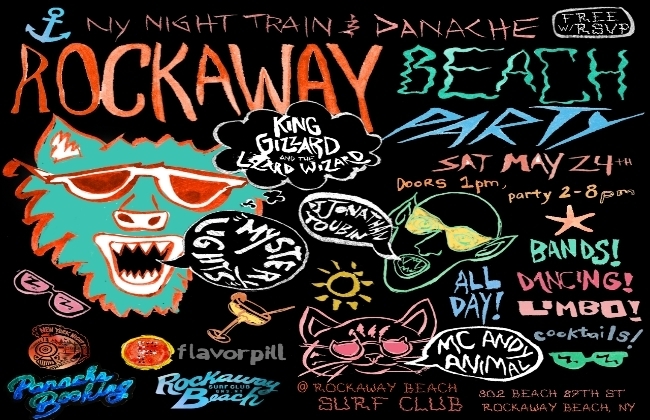 Enjoy bands, cocktails and dancing all day at the Rockaway Beach party. King Gizzard and the Lizard Wizard, Mystery Lights, DJ Jonathan Toubin, MC Andy Animal and special guests.